Video by Dr. Kim Solez on Existential Risks [of Nanotechnology] prepared for the Lifeboat Foundation. The Bill Joy video excerpt from the year 2000 in “The Future Doesn’t Need Us” segment at 7:05 no longer exists separately on the net so this is one of the few places where one can still see it. 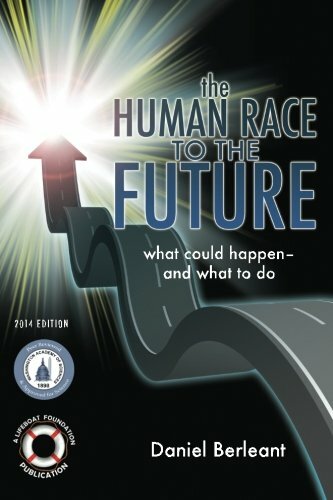 As a special offer to Informed Comment readers, the Kindle version of the Lifeboat Foundation’s first book, “The Human Race to the Future”, is being offered *FREE* April 3 through April 5 at http://amzn.to/19H3qf0. A discounted version of the paperback version is also available at http://amzn.to/1cujxeG. This 2014 Edition was awarded the “Peer Reviewed & Approved for Science” seal of the Washington Academy of Sciences which was founded in 1898. 10 Nobel Prize laureates have participated in the academy’s peer-reviewed “Journal of the Washington Academy of Sciences” over the past century.